Working with a slow computer is not only a source of frustration but can ruin your day overall, especially if you are working on a time-sensitive task. If you have noticed that your computer has significantly become slower lately, it’s high time for you to consider doing some troubleshooting on your end to identify the culprit. Before you do the actual troubleshooting though, you must remember that there is a long list of possible causes for a slow performance issue in a Windows PC. Below are some of the common problems most Windows PC users encounter. Bear in mind that this guide does not cover slow boot up issue and slow internet issue. Troubleshooting a slow running computer takes time and effort so make sure you set aside time to do the steps we will detail below. Letting your computer run for a long time can become taxing for the system. If you tend to leave your computer run for days at a time, you can almost always expect to notice it become sluggish. The operating system can become a little “disorganized” the longer you let it run, especially if install and uninstall programs along the way. Some updates may require you to immediately reboot the system while others can wait a little longer. The ideal general rule is to always restart the system after installing something, even if the updated program provides an option to restart later. We also highly recommend that you turn off the computer when you’re not planning to use it in the next hour or so. Keep in mind that the more the hard drive is utilized, the shorter its overall lifespan becomes. That is not to mention you are doing your own little way of conserving power. Overall, it’s always a good practice to boot your PC off when you’re not using it. Although rare, a corrupted or bad operating system can also lead to slow performance issue. The good thing is, a Windows operating system issue always manifest in some sort of error together with slowing down or freezing symptoms. If you’ve been getting Windows-specific errors lately, the first thing that you want to do is to back up your irreplaceable files. Once you’ve done that, you can start troubleshooting based on the error you’ve been getting. If you still have installation disc of the operating system, we recommend that you begin by trying to repair the OS using it. At most, you will end up re-installing Windows but as long as you have no important files to lose, we recommend that you do it to start with a clean slate. There are other troubleshooting steps between repairing the operating system and re-installing it so try to do some research before doing the drastic step of re-installing the OS. While this guide does not cover slow boot up issue, we still recommend that for the sake of troubleshooting, you can remove or disable start up items that your computer does not necessarily need when it boots up. In today’s more powerful computers, having 3 or four major programs running at the same time may be okay but if you have an older system, it’s always good practice to keep simultaneous programs from running. If you have a lot programs installed and you can’t seem to figure out what programs may be running in the background, consulting the Task Manager app is good place to start. Simply press CTRL+ALT+DEL buttons to check all apps and services running in the system. If you have security software installed, make sure that you check its settings to prevent it from conducting background scanning all the time. Antivirus scanners can consume a lot of resources while it’s doing its job so it is good if you can set it to scan only when you tell it to do so. If you want, you can set your security software to do a scan when you’re not using your computer. The exact steps depend on the software so make sure to check its settings an configure it accordingly. Also, it’s important that you remove any program that you don’t need. A lot of programs are usually installed when you buy a new system and most of these programs are actually not needed by most users. They may also be designed to run in the background even if you never opened them in the first place, slowing down your computer in the process. To remove these programs, click “Start” then go to “Control Panel” then click “Programs and Features” and scroll through the list, uninstalling the ones you don’t recognize or use. Be careful with this process though as you may end up removing a critical program needed by your specific system. If you encounter something that you don’t recognize, do a quick Google search to see if it came from your PC’s manufacturer, and if it’s important or not. Insufficient hard drive space is another common reason many users overlook when dealing with slow computer issue. Unless you have hundreds of free GBs left in your hard drive, checking how much storage left should be done whenever you troubleshoot your computer. The remaining free hard drive space is the unwritten physical space in your hard drive. Aside from its obvious purpose of storing files, free hard drive space can sometimes also be used to keep temporary files or cache. If the system can’t find enough space to keep a cache, it may result to a lock up or slow performance issue. The general rule is to always leave at least 20% of hard drive free. If you regularly use your computer for processor-heavy tasks like media processing (photos, videos, and music), you must always keep track of your hard drive’s storage space. The longer you’ve been using your computer, the more temporary files may have accumulate on the hard drive so make sure that you also delete them regularly. There are many utility tools that can help you automate the job like the Windows Disk Cleanup but we also recommend that you try to manually delete temporary files yourself. To do that, simply pull up the Run tool by pressing the Windows button and typing “run.” Click on Run icon and type ” %temp%” (without the quotes) so the Temporary files folder will be opened. As the name of the folder suggests, all the files in this folder are all temporary so you can delete them. Those that can’t be deleted can be left alone. Like any other form of storage media, a computer’s hard drive can be corrupted or fragmented. While hard drive fragmentation is less of a problem for machines running Windows 7 and up, hard drive corruption is (Windows 7 and up regularly defragment drives so there’s no need to defragment at this time). Your hard drive can be corrupted for a number of reasons and one of the most common reasons is frequent untimely shut down. If you tend to manually press the shut down button to power off your computer instead of using the shutdown process in the operating system, you run the risk of corrupting the hard drive faster. The same is true if you are in an area that has an unreliable power supply. Either case, hard drive corruption can be expected unless you do drastic action such as using an uninterruptible power supply (UPS). There are, of course, other reasons why a hard drive becomes corrupted such as virus or malware infection and physical damage but if you notice that some of your files can no longer be accessed, or your computer has become so slow following an unnecessary shut down, you should consider hard drive corruption as the cause. If you are positive that your hard drive has become corrupted, make sure to turn the computer off right away and avoid scanning it. This will give you higher chances of recovering some files later. 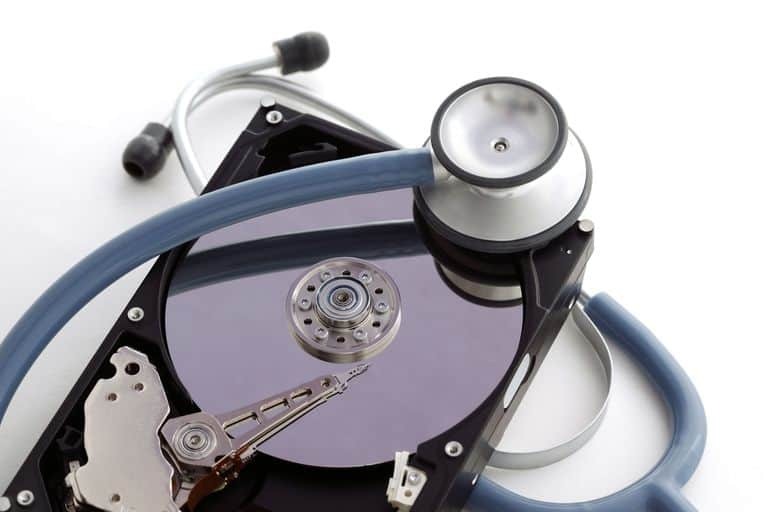 Scanning a corrupted hard drive runs the risks of overwriting affected sectors, permanently deleting whatever important files you may still have. Make sure to consult a professional to see if there’s something that they can do about it. If you have already created a back up of your important files before, simply reformat the hard drive and you should be good. If you’re getting “Missing hardware or Unknown device” error, it’s possible that one of the hardware components is not detected by the system. Try turning the computer off and back on to see if that will make a difference. If the system continues to not detect the device, that’s an indication that such component is not compatible with your system. This error often happens after installing a hardware component or peripheral so simply do a common sense solution — replace it or disconnect it. Sometimes, reinstalling the driver of said problematic device fixes this problem so make sure that you have the right set of drivers during troubleshooting. If your computer is connected to the internet, you can also allow Windows to search for an updated driver online. If you can see a yellow icon with an exclamation mark on it, that’s an indication there’s a hardware conflict. A hardware conflict happens when two similar devices use the same resource like a memory address. Although hardware conflicts is very rare nowadays, it can still happen. To fix it, simply remove the devices with the exclamation mark by highlighting them and pressing the delete key on the keyboard. Once you’ve removed the devices, reboot the PC and allow it to detect them again. A red X and sometimes down arrow on a device is an indicator that it has been disabled. Right click on said device and simply enable it back. Afterwards, reboot the device to allow the OS to detect them again. Another possible cause of slow PC issue is malware infection. Malware, most often in the form of viruses, can get into your computer in a number of ways. If you are an adventurous user, constantly checking out unsafe websites, installing illegal programs, or downloading files from unverified sources, there’s high chance that your PC may be infected with a malware. If you think that’s the case, scan your computer with an updated antivirus. For a more detailed information on how to deal with malware, visit our page on how to remove malware. NOTE: More antivirus software in a computer does not necessarily mean better. Make sure that you only install one antivirus software at a time to avoid slowing your computer further. Many of today’s motherboards have built-in mechanisms to alert a user whenever a processor or its fan is malfunctioning or overheating. Overheating is obviously not good for any electronic system and in a computer, it can manifest in the form of slow performance issue or random shut down issue. An overheating processor also means that the processing power of the computer becomes limited, slowing down how it does its tasks. Some processors are designed to significantly lower down their speed if heat reaches a certain level, resulting to slow performance issue. If your computer alerts you of a fan malfunction, make sure to immediately power the computer down and let it cool off for a couple of hours. 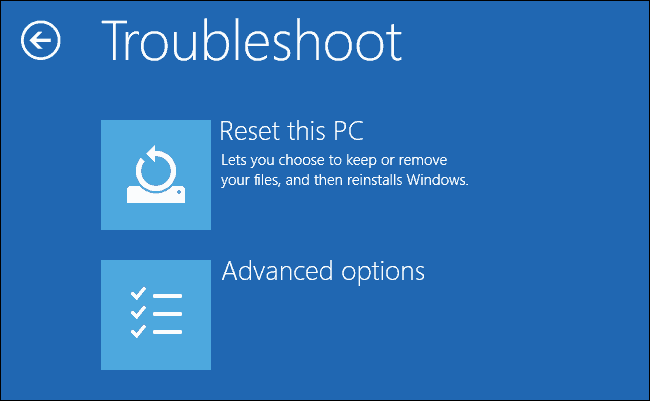 If the problem returns once you reboot the PC, consult an IT professional on how to fix it. If you want to troubleshoot the processor yourself, you can follow our suggestions in this page. Not having enough RAM (random access memory) can cause a computer to work slower than usual. 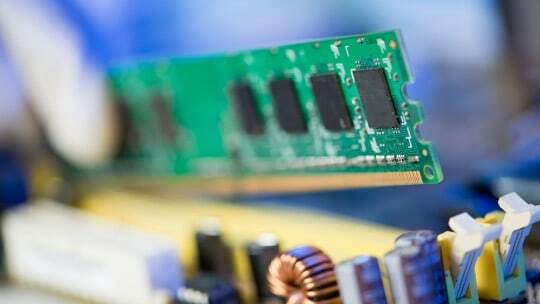 A computer needs RAM to temporarily store information needed to process program tasks faster. If your computer runs low on RAM, it may need to store volatile files to the swap file located in the hard drive. While this can work in most cases, the constant flow of information in the system in general becomes slower compared to when those files are stored in the RAM directly. Constant use of swap file due to insufficient RAM can significantly slow down the computer, especially if there’s also an issue with available hard drive space. If you notice that your computer’s hard drive light remains active when the PC is under heavy load, that’s an indication that the computer is frequently swapping information between the hard drive and RAM. To improve the situation, consult a professional on how to upgrade your computer’s RAM. If your computer has an extra memory slot, you can simply add another memory module on it. You can also replace the existing one with a new one that has greater capacity model. If all the above considerations won’t yield any positive result, it’s possible that there may other hardware failure causing slow performance issue on your computer. The range of possible reasons vary and can include a failing CPU, hard drive, motherboard, etc. In this case, you can either consider having the computer checked by a qualified technician, or simply replace it with a new, more powerful one. Computers develop at a fast rate nowadays and a lot of mainstream programs require faster and more powerful hardware to work properly. If your computer has been around (at least 4 years old), it’s probably high time to consider getting a new one.